Introducing the first single source organic shade grown fair trade whole bean coffee handforged to perfection by the Coffee Parrot at TheParrotCafe.com. Brazil Fazenda Santa Ines. From the land of the world's rarest parrots, including the Spix's Macaw, The Lear's Macaw, and the Hyacinth Macaw, such as our very own Princess Tara. And yes, she is a princess. Her parents are a Duke and a Duchess. Very sweet, bright coffee with hints of lemon and clove. Delicate texture and layered, complex taste. Fazenda Santa Ines is located in the municipality of Carmo de Minas in southern Minas Gerais at the foot of the Mantiqueira mountains. When the farm was acquired by the Sertao Group in 1979 it was already planted in coffee. Soon thereafter work began on planting more fields, building new concrete drying patios, and installing a washer, dryer, and processing machine. The Sertao Group is highly committed to environmental conservation, witnessed by the fact that it has preserved a large area of native forest on the property and protects all the mountain springs and creeks as well as the vegetation along their banks. Because of the topography, harvesting at Fazenda Santa Ines has always been done by hand, the cherries being collected on a cloth. This precaution is taken so that the coffee will not be contaminated or lose its quality. Once they are picked, the cherries are taken to Fazenda do Sertao, another partner in the Sertao Group, where they are washed, pulped, and spread out, always with a view to obtaining a high-quality product. 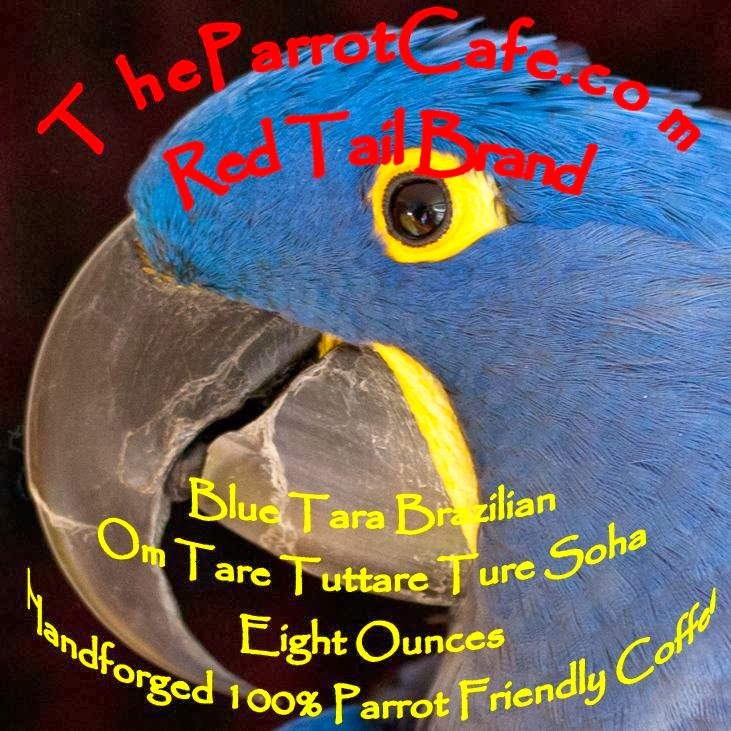 To purchase our handforged 100% parrot friendly Brazil Fazenda Santa Ines, as well as our other fine coffees, please visit TheParrotCafe.com. All proceeds from the sale of our coffee and other products benefits Northwest Parrots Fund, a 501(c)3 nonprofit charity registered in the State of Washington.